The American Resort Development Association of Hawaii (ARDA-Hawaii) announced that it has selected Audrey Gill and Shawn Saito as Steve Hirano Memorial Scholarship Recipients. The American Resort Development Association of Hawaii (ARDA-Hawaii) announced that it has selected Audrey Gill and Shawn Saito as Steve Hirano Memorial Scholarship Recipients. 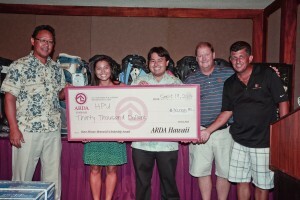 A total of $30,000 in net proceeds from ARDA-Hawaii’s Ninth Annual Golf Tournament held on September 19, 2014 at Honolulu International Country Club, has been contributed to the scholarship fund, which supports outstanding Travel Industry Management (TIM) students at Hawaii Pacific University (HPU). As 2014-2015 scholarship recipients, both Gill and Saito will receive $5,000 to apply towards their TIM and timeshare industry studies at HPU and will be honored at the university’s awards banquet next year. Gill, originally from Houston, Texas, plans to graduate from HPU in December of 2015. Saito, currently a junior, is a Hawaii Baptist Academy graduate and serves as the Vice President of the HPU Travel Industry Management Student Organization and as a Director of Program Outreach for ClimbHi, a local nonprofit agency that connects high school students with the tourism industry. Each year, ARDA-Hawaii raises money through its annual golf tournament to support the Steve Hirano Memorial Scholarship fund, created as a tribute to the late public affairs executive who helped to forge a path for the once burgeoning industry in Hawaii. ARDA-Hawaii established the scholarship to facilitate the education of students attending HPU and to provide an opportunity for students to pursue a career in the timeshare industry, especially those from Hawaii. To qualify for consideration, applicants must be enrolled full-time in the TIM program with a Junior or Senior class status, and have a 3.20 minimum GPA. Since its inception 10 years ago, the ARDA-Hawaii Golf Tournament has raised more than $170,000 for the scholarship fund. ARDA-Hawaii is the local chapter of the American Resort Development Association, the national timeshare trade association. The state’s timeshare units account for 13 percent of the State’s visitor lodging inventory and thousands of jobs. 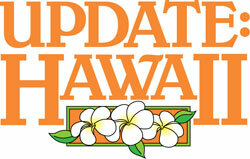 Learn more about “Timeshare with Aloha” at http://www.arda.org.